Cravings. We all have them! Sometimes it’s okay to have them, and even honor them. I’m all for tuning in to what you body needs and wants. But there is a difference between craving chocolate because you know it’s delicious and are SO in the mood vs. craving it because your body isn’t being taken care of in the best way and feels unbalanced. Those are not the kind of cravings you want to honor. Because the real need here is self-care! 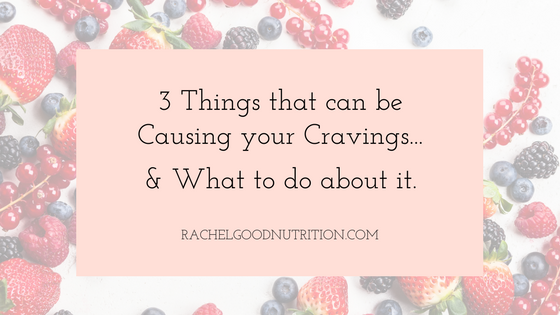 So how do you figure out what is a real craving and what’s not? People who eat breakfast, especially a high protein breakfast (about 30 grams of protein), vs people who don’t report better appetite control and less cravings through out the day. High protein breakfast has a satiating effect and may reduce cravings by dulling the brain’s response to food stimuli. In addition, a high protein breakfast has shown to reduce the amount of ghrelin your body produces. Ghrelin is your hunger hormone, so if you make less of it would mean less hunger signals, hence a decreased appetite compared to a low or normal protein breakfast, or no breakfast at all! 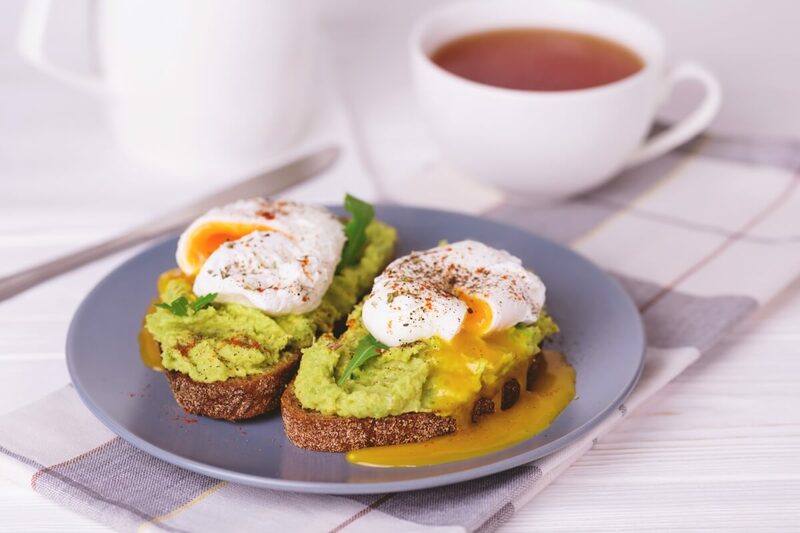 High protein breakfasts also improves glycemic control throughout the entire day so it’s especially recommended for diabetics. Sleep deprivation causes the pleasure seeking area of the brain to be more active so your response to enticing foods and cravings for them are stronger, especially foods with pleasant aromas such as donuts, fries, and cookies. Lack of sleep also increases production of ghrelin, your hunger hormone, and a decrease in leptin production, the satiety hormone. Ghrelin is what will drive you to eat more and will make you crave sweets such as highly processed junk foods that are loaded with added sugars. Lack of sleep can promote inflammation and stress on the body. This causes an increase in a stress hormone called cortisol. Cortisol will make you seek simple carbs and contribute to those night time cravings. Make sure you get 7 to 9 hours of sleep each night. Start by avoiding any bright lights (like your phone screen) for at least an hour before bed to help regulate your body to a healthy sleep schedule. Most importantly, make it a priority. There will always be things to do, ,and sometimes you’ll go to bed late – it’s not the end of the world. But don’t make it a habit, some things can wait… your sleep can not! 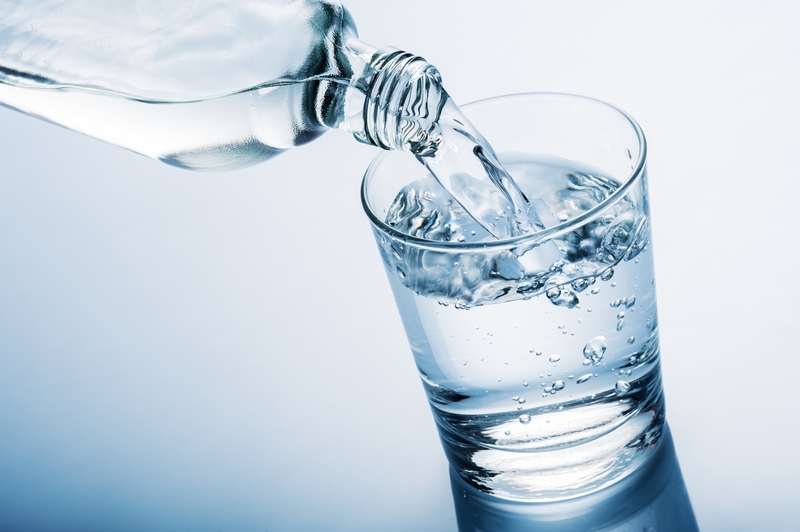 Making sure you are adequately hydrated will prevent you from mistaking thirst for hunger and keep you energized. I catch myself on this all the time! A good way to stay hydrated is having a 32oz water bottle nearby and consuming fruits and vegetables with high water content such as cucumber, celery, oranges, and melons. Starting the day with a cup or 2 of water will give you a great headstart! Keeping a cup near the sink at all times will also be helpful in reminding you to stay hydrated! Cravings often times happen when we are not feeling balanced and not taking proper care of ourselves. Such as when we are sleep deprived, skip breakfast, or don’t drink enough. These are things which you can do something about! By focusing on creating these habits – having a wholesome breakfast, getting to bed on time, carrying a water bottle – you will begin to see a difference in your mood and appetite. If all 3 at once overwhelms you then choose one until you get comfortable with it and proceed to the next. Health is a work in progress! As long as you keep moving forward, you’ll be able to start managing those cravngs. And always remember that if you are meeting these needs and you crave a cookie just because it’s so darn good, make sure to enjoy it!